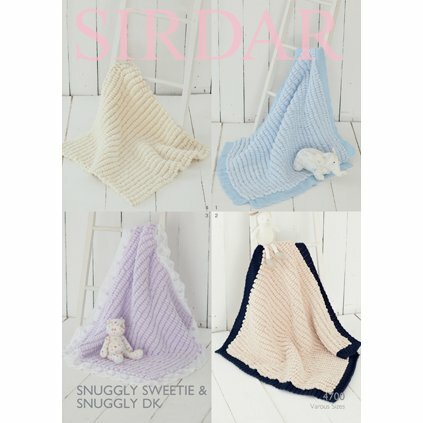 Choose from 4 different pattern variations to create a snuggly soft baby blanket for your little one! Finished measurements for each blanket as follows: 1) Chevron Edge Blanket - 36" x 36" 2) Twisted Rib Edge Blanket - 36" x 36" 3) Flower Cable Edge Blanket - 34.75" x 34.75" 4) Plain Blanket - 23.75" x 24"
Rowan Baby Knits Collection Patterns - Simple Hat - PDF DOWNLOAD is a similar pattern: baby accessory garment, for babies and children, and on size US 6 US needles. You may also like Knit Collage Patterns - Kitty Kids Hat - PDF DOWNLOAD, which is another similar pattern: 8 (2 sts. / inch) finished gauge and for babies and children.